A cura del Presidente di ISOC Italia Ing. S. Trumpy è stata redatta la posizione di ISOC.it in merito alla consultazione pubblica avviata dall'ente NTIA del governo americano sulla transizione del DNS. ISOC.it welcomes the opportunity provided by NTIA to evaluate the progress achieved by ICANN in the first half period envisaged in the JPA. After a consultation with the membership, our contribution follows. R: No doubt, through the support of the Security and Stability Advisory Committee (SSAC), ICANN has reached an excellent level of security and stability for the DNS and the Root Server System. 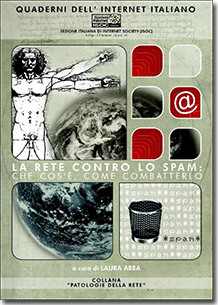 In this field there is and there will be space for further improvements, in order to approach the asymptote, but the system has demonstrated to be robust and resistant to various type of failures / attacks. In this field ICANN cooperates, through the SSAC, with top quality international and intergovernmental bodies that are active in the field of security. R: ICANN has improved a lot in the last period, in particular after the signature of the JPA. The participation of the Internet community in ICANN’s business is a must; the information on issues discussed in the Board is provided timely and in a form that can be understood by a vast community. ICANN now sees participation of a much larger community compared to the situation of a few years ago. ICANN has managerial commitment and needs to take decisions, following agreed time schedules; therefore, a compromise is pursued between hearing the opinions on different issues, in vast consultations, and being able to decide in due time. R: This is one of the most delicate aspects because is connected to the “funding model” of ICANN, to the evolution of the income, annual and medium term plans and has to do with the flux of expenditures and its transparency. ICANN has put in place the office of the ombudsman and relies on external independent auditors that assure a certified status in accountability. GAC has recently expressed a positive opinion on accountability, while providing some advise for further improvement. R: The engagement of ICANN with the root server operators basically addresses security and stability issues and provision of best practice management criteria. Furthermore ICANN has favored, through the Anycast technology, the multiplication of the root servers in order to assure a balanced traffic and the coverage in all regions. ICANN do not enters in specific management issues in each root server because this is a condition to prevent massive denial of service attacks to the whole system. In this case, the diversity of approaches and a relative non-transparency of the approaches in the operations is a condition that assures more stability to the system. In any case, ICANN started formalizing relations with root name server operators and this is an action to be continued. R: This is a relevant part of the core business of ICANN that constitutes the major source of the finances available. 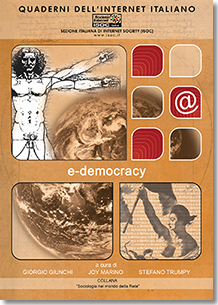 ICANN is engaged in very important initiatives to enlarge the offer of services to the whole Internet community. The introduction of new gTLDs is one of the most important achievements in preparation, expected to be activated in 2008. 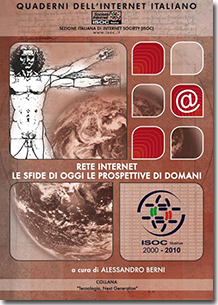 Another fundamental aspect is connected to the introduction of the Internationalized Domain Names (IDN) to satisfy the demand for domain names written in non ascii characters. The introduction of 11 new IDN TLDs is in an advanced status of planning. Another aspect under way is connected with WHOIS service; this is not an easy task considering potential conflicts of different national policies connected to privacy and the necessity to contrast cyber-crime; an activity to define generally accepted policy rules is in an advanced status. R: We recognize that ICANN implemented a multi stake-holder model since it’s inception; this is a process that goes on with significant improvements and there is obviously still place to progress. In or opinion, the present status is more than satisfactory. R: This aspect is realized in ICANN through the Governmental Advisory Committee; formally GAC,s advises are not binding but we may note that GAC’s advises are very influential in Board’s decisions and this is more and more valid. GAC, in recent times, started also to interact with the Supporting Organizations and other committees, in early phases of public policy definition processes. Some of the very important countries as China and Russia do not take part to the GAC and this situation should be removed. R: The service provided to the community by the Regional Internet Registries is adequate and reliable. One of the problem that deserves a specific attention is the migration to IPv6 and the near to come depletion of IPv4 addresses. This is at the top of attention of ICANN, especially looking at the situation in developing countries. R: The main responsibility is to prove efficiency in operations; no doubt ICANN is able to express technical excellence and good performance. Another responsibility is to adopt appropriate mechanisms that foster participation in ICANN by global Internet stakeholders. Significant achievements have been reached and we do not see a model that could better assure such responsibilities. R: ICANN was created as an experiment to involve the private sector in the management of the DNS and the root server system. 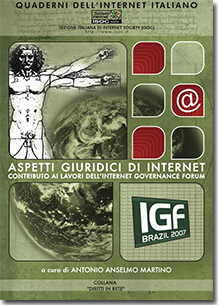 The nature of ICANN, as a not for profit company established under the legislation of Californian state, has to evolve in an organization that can operate under a real international legal status. The President’s strategy committee was established to study such evolution and possible solutions are being examined. 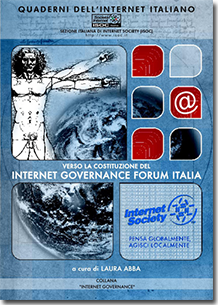 The Italian chapter of ISOC supports the input supplied by ICANN stating that the organization has met fully its obligations and responsibilities defined in the JPA and consequently the JPA could be terminated. This does not means that ICANN is to be considered perfect; there is still space for improvements but the present achievements on the 10 points (see specific comments) are, to our vision, more than satisfactory. In case the US government supervision is terminated after the mid term review, the GAC would remain the sole interface of ICANN with the governments; the GAC will have to assure to the Board of ICANN it’s advises on public policy issues on an increasingly responsible way. ICANN do not need managerial guidance by any government authority but rather a general guidance on public policy issues connected to it’s agenda. 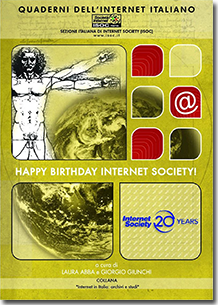 Whenever the JPA will be terminated a major step will be accomplished to satisfy the expectations generated by the World Summit for Information Society and much of the tensions connected to the supervision of ICANN by a single government will be released; further steps will have to be taken, provided that the core of the Internet system will be assured to be maintained safe and stable. We consider the model of ICANN the most appropriate to run the addressing system of Internet and we do not see any emerging valid alternative; for this we are grateful to US government to have proposed and implemented this model.